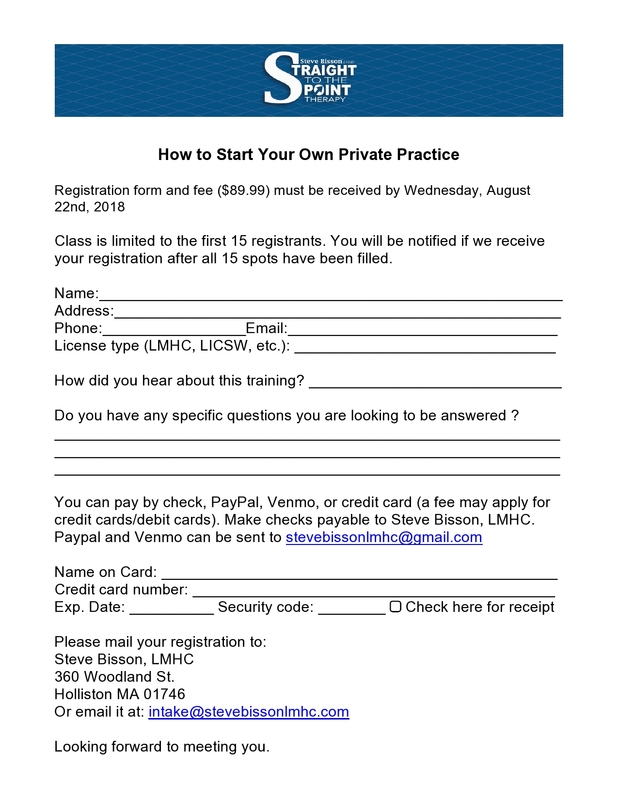 Want to start your own private practice? Don’t know where to start? Here is a great class that I have done on a coupe of occasions that has received rave reviews and will be taking place again on August 25th, 2018. It also a great opportunity to bring your concerns, fears, dreams and how to adapt these to your long term private practice goals. I also offer breakfast and lunch, as well as unlimited follow ups after the class. Any more questions? Contact me via intake@stevebissonlmhc.com. I have also included the registration form for you.